The Marine Tavern offers four high quality rooms. All rooms have tea and coffee making facilities, remote control freeview television and are serviced daily. Room 1. This is an ensuite double room, located at the rear of the building. It has a double bed, (not a twin). This room is £50 per night, including breakfast. 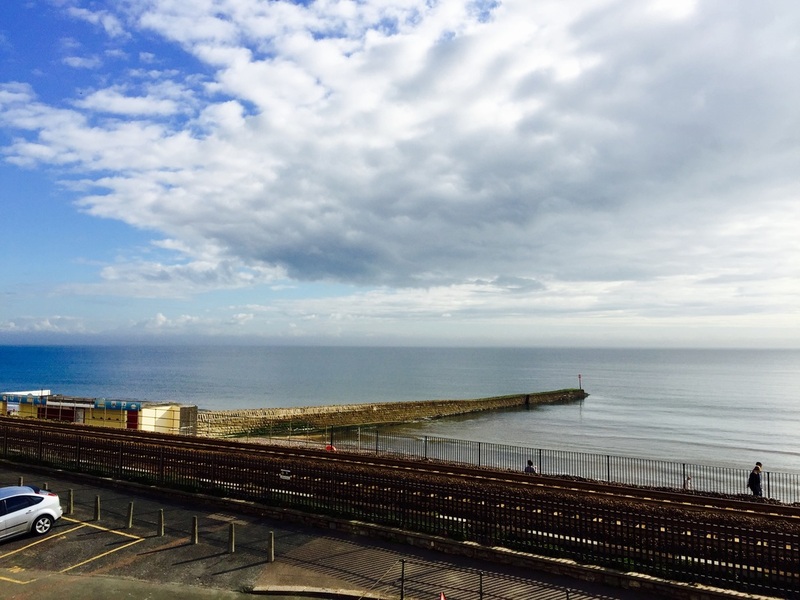 This is an ensuite family room with excellent sea views, it sleeps four. The room is equipped with a double bed and a set of bunks. The room has been recently redecorated. 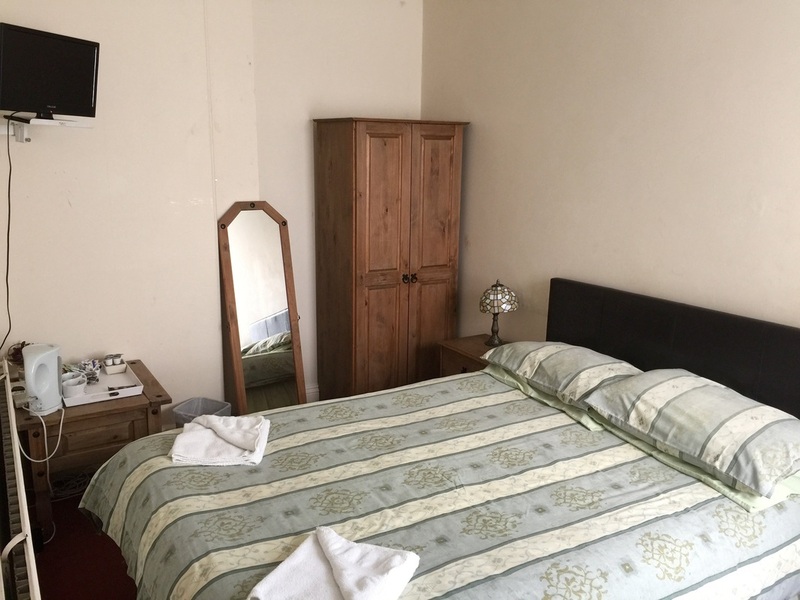 This room costs £65 per night for two persons, or £75 per night for three people. The price Includes breakfast. Room 3. 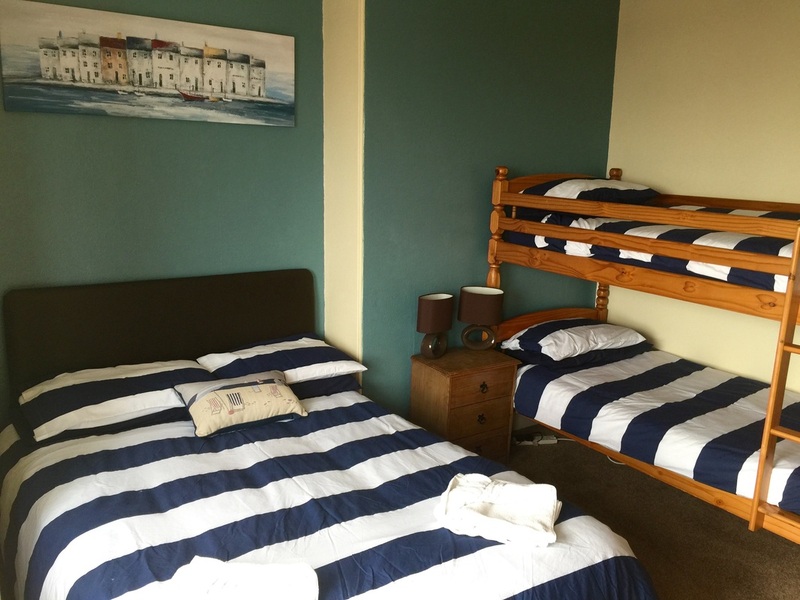 This is a Double room with a double bed (not a twin), it has an excellent sea view. This room has its own private bathroom opposite. This room is £55 per night and includes breakfast. 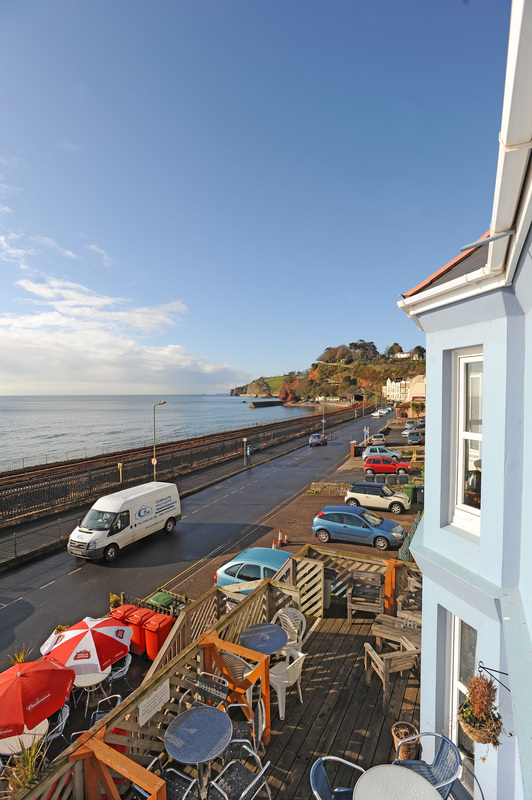 This is an ensuite family room with excellent sea views, it sleeps three. 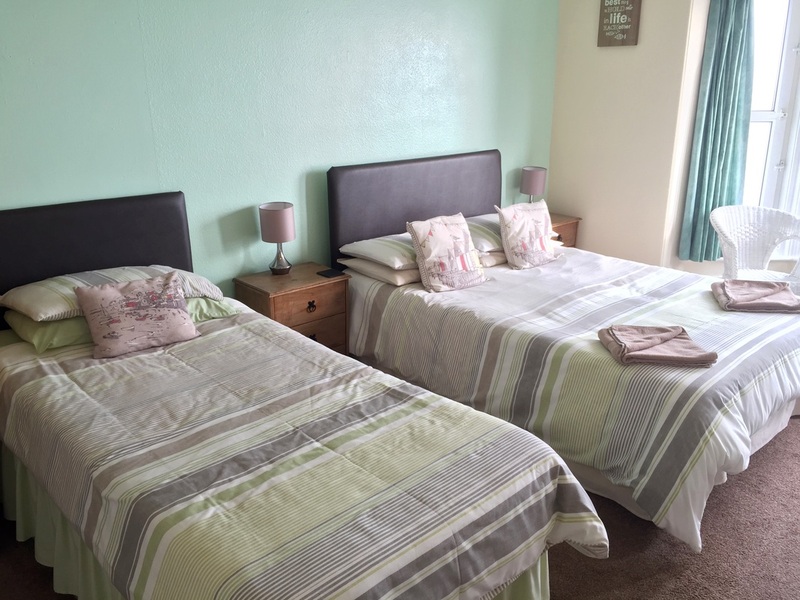 The room is equipped with a double bed and a single bed. The room has been recently redecorated. 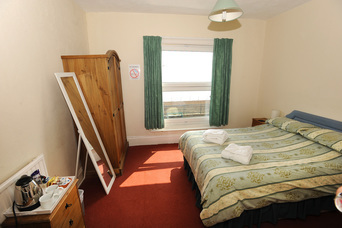 This room costs £65 per night for two persons, or £75 per night for three people. The price includes breakfast. Page down to see illustrations of our rooms. All rooms have tea and coffee making facilities, remote control freeview television and are serviced daily. To make an enquiry about a room, please fill out the form below, we will get back to as soon as possible. 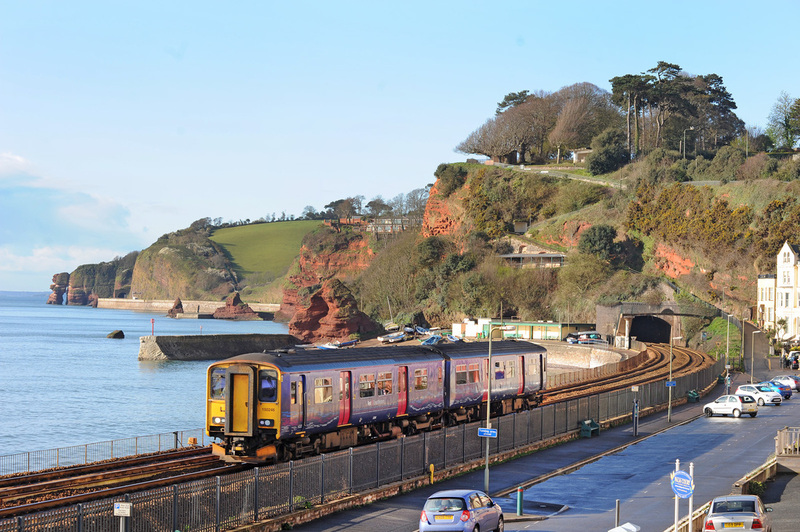 If you want to watch the passing trains, our three sea facing rooms offer an excellent view of the passing trains.